by Karen M Gardner, et al. 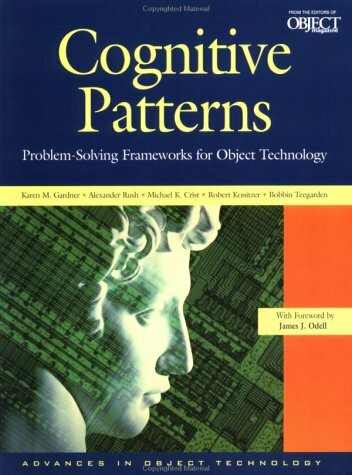 This book presents the concepts and terminology of cognitive patterns and cognitive modeling. It thoroughly explains the uniqueness of cognitive patterns as an approach in modeling business systems and processes. It models the way reality is understood by people. by Edward I. Edgerton, Wallace E. Bartholomew - The Ronald Press Co.